It is known to everyone that the technology is being advanced day by day. In Nepal too, we can see that the majority of people are using smartphones. Availability of various apps is one of the interesting features in smartphones and people seem to be enjoying different apps as per their interest. The scope of information technology is also growing larger and larger recently and one can see that Nepali Apps are also proliferating in the App store. Many Nepalese people are seen making use of these Apps. 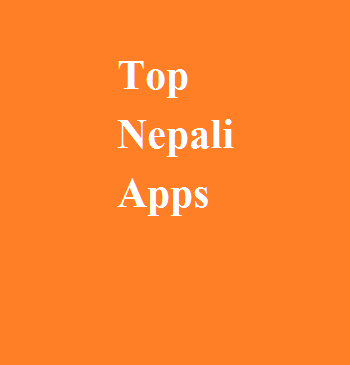 There are wide ranges of apps made by Nepali developers for the Nepali people. These Nepali apps are developed keeping in mind the need of Nepalese and thus they are used in the day to day life. Hamro patro: This app provides you information not only about Nepali calendar but also includes Nepali News, radio, weather and much more. Hamro Patro provides you with the important days, �tithi� and their description. It also includes B.S. to A.D. converter. It has Nepali FM radio which contains numerous FMs. You can search the FM stations by its name or place and also make a playlist of your favourites. This app keeps you updated with the latest news and also gives you information regarding Nepali songs, movies, literature, festivals and stories. You can also get the information about the foreign currency exchange rates, gold and silver rates and your horoscope. This complete package comes in a single app and is most used by Nepalese. Nepali Dictionary: Another most popular app among the Nepalese is Nepali Dictionary. We often can’t find the right words when we want to convert English words into Nepali or vice versa. And, this app has just solved that problem of ours. It is the first offline dictionary for Nepali language. This is a simple app and can be used without difficulty. You can exchange the words from English to Nepali and vice versa. To entertain you and make you learn more words, it also consists of the word game (Hangman). Hamro Nepali Keyboard: This app is for those who would love to use the keyboard in Nepali language. This app can help you to write in Nepali script in any app. You don’t have to go through the process of copy and paste. It supports three keyboard layouts that are Unicode transliteration, MPP based Romanized layout and traditional Layout. With the latest update, it has also added emoji support and Numeric keypad. It has made an effort to promote typing in Nepali language. Nepal Loadshedding Schedule: Though recently there have not been any episodes of loadshedding, this app was a hit as it helped people to plan their time efficiently when there were loadsheddings. This app helps to view and track daily schedule of load-shedding in Nepal which used to be one of the daily problems of Nepal. The schedule is updated via the official website of Nepal Electricity Authority. Call Break Card Game: Playing cards among friends and relatives prevails widely in Nepal. Call break is one of the card games which are very popular in Nepal. It is played in a group of 4 with a single deck of cards. This app gives you the experience of playing call break in 4 modes. It can be single player mode, Private Multiplayer mode, Random Multiplayer mode and LAN/HOTSPOT mode. There are thousands of active players everyday in the multiplayer mode. If you are a cards game loving person, you are sure to love this app as well. Marriage Card Game: This is another card game popular among the Nepali communities. This is a popular game among the Nepal card players and is mainly played during the festivals. You can play either as a single player or on Bluetooth. Online mode is also developed but it is still under experiment and the application is still under development. However, people seem to love this card game app. Loksewa Nepal: Thousands of people compete every year to get through the loksewa examination which is taken by lok sewa aayog (Public Service Commission Nepal). Through Loksewa examination, one can get a government level job in Nepal. Thus, this app is popular among those preparing for Loksewa examination. This app is a mobile based solution for notices, notes, practice questions, online tests and other materials for those preparing for loksewa examination. eSewa- mobile wallet (Nepal) : eSewa has helped to solve the problem of online money transfer in Nepal. You can recharge your esewa account through different options. These options include mobile banking, internet banking and counter deposit through member banks. Another esewa user can also transfer fund to your account. It facilitates the transfer from wallet to wallet, wallet to bank, bank to wallet and wallet to remittance transactions. nlocate: As the name of the app suggests, it helps to locate things nearby you. It is a local search application for Nepal. It helps you locate essential services like hospitals, ATMs, banks, petrol pumps, restaurants, etc which are nearby you. Recent searches are saved for the offline use. You can also add places to make the search a more efficient one. Blood members Nepal: It is a life saving app and helps to find the blood donors when in need. Blood Members Nepal is the program initiated by Blood Donors Association Nepal, Club 25 Nepal, Digital Agency Catmandu and Fulpati Group. This app was developed with the theme of �Blood bank in your finger tips�. The database exists only with the consent of the blood donors. With the new update, you can make a Chahiyo request so that the available donors can reach you.